FTN: Does making divorce easier benefit women? 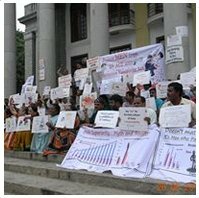 Centre for Men’s Rights (http://menrights.org) aims to promote men’s welfare and their human rights and prevent abuse of men’s rights. We aim to reduce suicide rate of men and create more acceptability and choices for men in society.